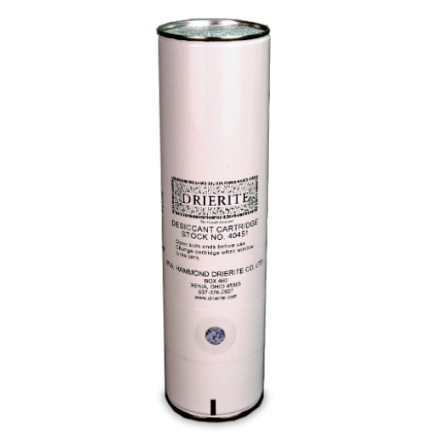 This DRIERITE Disposable Desiccant Cartridge dries displacement air entering storage drums to -100° F dew point. Universal Drum Adapter will fit 3/4″ & 2″ NPT. The 90 degree elbow can also be removed for vertical orientation.